When drivers in New Jersey are stopped by police and are facing the prospect of an arrest and conviction for driving while intoxicated, there are many things they may think about. Considering the consequences for a DWI conviction, it’s entirely understandable that drivers will be frightened and forget that they have rights under the law. This can lead to mistakes that might result in a conviction when, if they maintained their composure and knew the procedures that are part of a DWI investigation and arrest, they might have been acquitted or had the case dismissed. 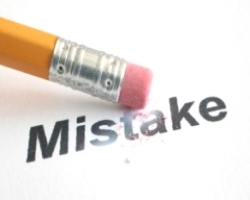 The following are common mistakes that New Jersey drivers make when they’re arrested for DWI. Drivers in New Jersey over the age of 21 who register a blood alcohol content (BAC) of 0.08% or higher will be considered over the legal limit and arrested for DWI. Drivers under age 21 who register 0.01% or above and commercial drivers who register 0.04% or above will also be subject to arrest and charges for DWI. When the breathalyzer tests are known, the driver might be under the impression that the case is over and they might as well plead guilty because there’s no way to dispute the machine. Another factor that might spur them to plead guilty is thinking that being agreeable will help their situation. Neither is true. Just like drivers have to follow the rules of the road including not driving with a BAC over the legal limit, law enforcement also has to follow certain protocol to make a traffic stop and arrest valid. Police are not allowed to stop a vehicle without probable cause. If they witnessed the vehicle making dangerous maneuvers, breaking the law or swerving in a manner that was consistent with a possible DWI, they can stop the driver. If they don’t have a reason to make the stop, the subsequent arrest for DWI might not be valid. When a breathalyzer test is given, the officer must be certified to give the test and the machine must be properly calibrated. It’s possible that the machine wasn’t working correctly and if that’s the case, then the results could be found inaccurate. It is always worthwhile to have an attorney examine the circumstances surrounding an arrest and look for reasons why the evidence is not admissible. The old adage “you get what you pay for” is fitting when hiring an attorney to defend DWI charges. In the long run, the money that is saved by hiring a less-than-competent attorney simply because of a lower price than a more accomplished one will likely haunt the client in the end. The cheaper attorney might not have the experience, legal knowledge or all-around skill to find reasons why the charges should be dismissed. Hiring an attorney who knows how to defend DWI charges in New Jersey is preferable to an attorney who covers a wide range of legal issues. The attorney’s reputation and background are far more important factors to examine before the price. Not all lawyers are the right lawyer for you. Unfortunately, there are too many lawyers that are happy to take your money regardless if they are the best option for you. Before agreeing or signing anything with a lawyer here are some things to look out for. 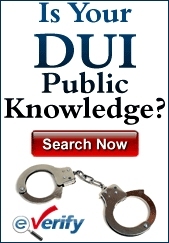 #1 – Make sure the lawyer is actively handling DWI cases. You want someone familiar and experienced with this specific area of law. #2 – Read the retainer very carefully. Some retainers do not include trial costs which can greatly increase the cost. You want a lawyer ready to take your case to trial and fight your case. Fast settlements can be good for lawyers trying to keep their workload light but often is not a good idea for people with a case worthy of a strong court fight. #3 – Check multiple references. You want your lawyer to have many happy former DWI clients. #4 – Make sure you know you is going to actually work on your legal case. Some heavily advertised law firms will sign you up and then assign your case to a first year lawyer. You do not want this bait and switch style of legal representation. Drivers sometimes wait an extended period before seeking legal advice in their DWI case. This too might be due to financial concerns. Like the decision to hire an attorney who is inexpensive over someone who is experienced, this can cost more in the long run. The greater amount of time a lawyer has to examine the evidence and find witnesses, the better chance the driver has of being acquitted. In a best case scenario, the driver will realize the situation he or she is in and contact an attorney immediately upon being arrested. Another old adage frequently used in court cases is, “He who represents himself has a fool for a client.” If a person is a lawyer, then perhaps it makes sense to formulate one’s own defense. If the driver is not an attorney, then it is inevitably a mistake. Allowing the prosecution to do whatever they want without protest or protection from legal counsel is the foundation for disaster. Although the penalties for a DWI conviction are not massive (barring an accident in which people are injured), they are still a problem that could be avoided. A DWI conviction will result in fines, surcharges, a driver’s license suspension and, depending on the BAC, possible jail time. There will be higher insurance rates and inconveniences all around. Drivers who are trying to ingratiate themselves to the prosecutor learn very quickly that it won’t do them any good. All it does is give the prosecutor an easy win and the driver penalties that they might have avoided if they hired a qualified attorney to handle the case. One of the smartest things a person who is facing DWI charges is knowing what he or she doesn’t know and acting accordingly. Any of the above mistakes can lead to long-term problems when they could possibly have been avoided if they thought through the ramifications of a DWI conviction. Drivers who understand how to handle a DWI charge have a far better chance of avoiding the problems inherent with a conviction.